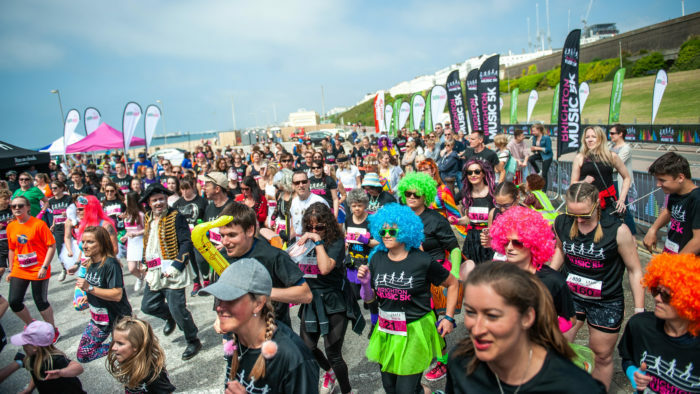 If you’re looking for a different kind of running event to do, with an emphasis on fun and music, how about Brighton Run2Music on 11th May? 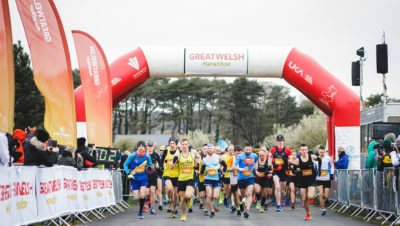 Choose from 5k, 10k or half marathon and listen to live DJs and music on big speakers along the course. 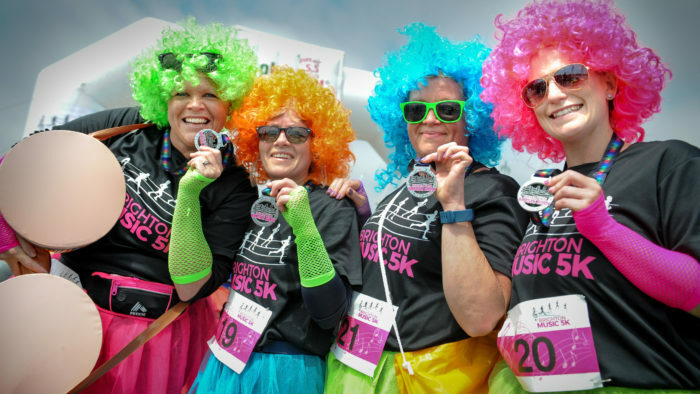 There’s even a fancy dress element as runners are encouraged to dress as their favourite pop star. It’s a fantastically inclusive race, a fact which is perfectly illustrated by their oldest participant, Daphne Belt. 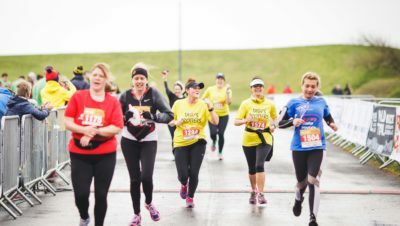 Daphne, who turns 80 this year, will be the eldest competitor running the 10km in the Brighton Run2Music on Saturday 11 May. 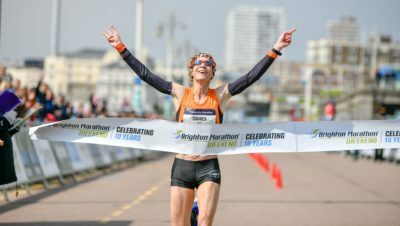 She is also currently a leading triathlete and has been a Triathlon World Champion 9 times over a variety of standard, middle and long distances in her Age Group, European Champion 6 times in her Age Group and Ironman 70.3 European Champion in 2017. Quite a feat for a 79 year old who shows no signs of slowing down. Daphne shows that age ain’t nothing but a number. Daphne took up sport 29 years ago at the age of 50. She was inspired by the Iron Man World Champion Paula Newby Fraser who became an Ironman World Champion in Hawaii an incredible eight times. Daphne is planning on dressing as Madonna for the Brighton Run2Music as all participants are encouraged to dress as their favourite pop star. 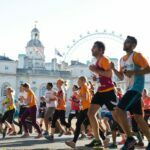 Brighton Run2Music is organised by John Lunt, who we interviewed about his first marathon, to get his top tips for running yours!